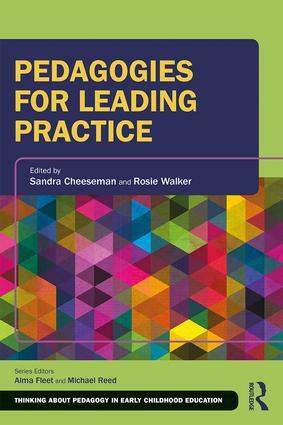 Bringing together the experiences of professionals from around the world, this essential text explores the intersections between pedagogy and leadership to consider how effective Pedagogical Leadership can be used to foster the collaborative engagement of children and their families, staff and practitioners, and ensure high quality provision in early years settings and services. Offering insight, examples and challenges, this text will enhance understanding, support self-directed learning, and provoke and transform thinking at both graduate and postgraduate levels, particularly in the field of early childhood education and care. Sandra Cheeseman is Senior Lecturer in early childhood policy, leadership and professional experience at Macquarie University, Sydney, Australia. Rosie Walker is Senior Lecturer at the Department for Children and Families, School of Education, University of Worcester, UK.